When I got my first digital marketing job in 2014, pretty much everything I knew was learned from inhaling digital marketing blogs. Any spare moment I had was spent reading up on how to implement campaigns, create strategies and increase engagement. And yes, that does mean a lot of time was spent Googling “how to do social media” (no shame). In an industry that is constantly evolving, I’ve come to the realisation that not being aware of new concepts and ideas will only hold you back. 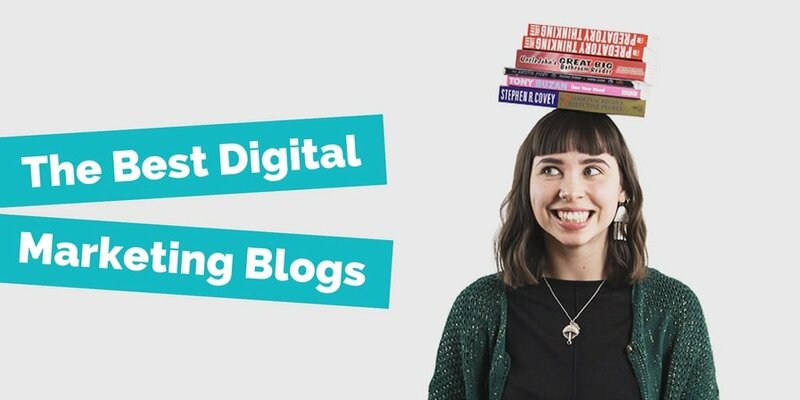 So whether you’re a fully-fledged purveyor of marketing know-how or just starting out on your journey of digital enlightenment, here's some links to digital marketing blogs you'll find handy. Search Engine Journal is a great resource if you’re starting out and want to know more than just what’s in the news. Their knowledge-based content is easy to follow and engaging, and if you’re interested in understanding the history behind certain developments (such as Google algorithm updates) they’ve got tons of information so you can apply some context to all the new techniques you’re learning. If you do any search for “best digital marketing blogs”, like I did circa 2014, the Moz Blog is guaranteed to be at the top of pretty much every list you come across. I’ve put it second, just to be contrary - but that by no means trivialises its stronghold in the industry. Co-founded by Rand Fishkin, AKA the best moustache in marketing, their blog is a wealth of knowledge on everything from SEO to social media. Whiteboard Fridays are a particular highlight. One of the best things about Kissmetrics is its emphasis on the analytical side of marketing. Let’s face it - regardless of whether you are new to the business of marketing or an old hat, accurately analysing the ROI of your marketing efforts is not always as simple as you think. The Kissmetrics Academy is particularly useful, as it categorises all the articles they have on certain topics, from their top-notch analytics guidance to how to keep your best customers. If you work in digital marketing and haven’t signed up to the Battenhall Whatsapp group you need to get on that pronto. Alongside sharing their own blogs, which are always informative and well-written, you’ll be sent a round-up each morning of everything you need to know about digital marketing and social media. It’s great. Ever since Steven Bartlett wowed everybody with his talk at Digital Gaggle, we’ve had to keep an eye on the blog at his agency, Social Chain. Commenting on the latest developments in digital marketing, the Social Chain Scribe will keep you fresh and up to date with all things social media and how to target different demographics. Enchanted Marketing is a new one for me, and one that you should definitely have on your radar. 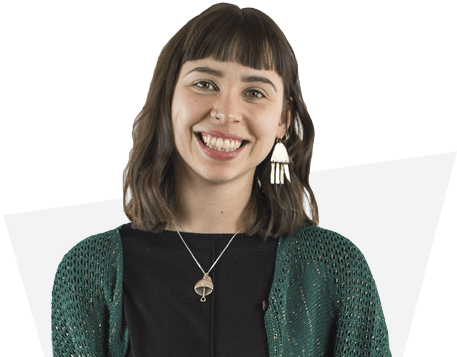 While Henneke Duistermaat’s blog is more about improving your copywriting than it is about keeping you in the loop with marketing trends, her advice will almost certainly help you improve your marketing strategies. Henneke’s writing is unique and insightful, and she has fantastic ideas about how to be a better writer and how to use those skills to sell. The TechCrunch blog isn’t just there to serve the minds of digital marketers wanting to brush up on the latest Instagram update. You’ll also find a wealth of information on the tech industry in general. Read this to stay informed about developments which might not seem directly relevant to marketing, but may be likely to influence the industry all the same. In other words, if you procrastinate by reading this blog, you will definitely still look like you’re doing work. Win win. If you’re marketing an ecommerce brand, Curalate is definitely one for you - although its tech and social news will certainly keep the B2B marketers interested as well Their content on social platforms, leveraging influencers and UGC is fantastic for inspiration on how to increase following and keep your audience entertained and engaged. Considering us marketers are all striving to increase visibility and trustworthiness for the business we work in, it wouldn’t seem right to leave out Google’s official blog, The Keyword. If our buyer personas are the congregation, Google is our God (sorry Bing). So when Google says jump, we jump - and where better to find out all the latest information about algorithm changes and innovative technology than from the very word of Google themselves? Distilled’s digital marketing resources are vast and detailed, ranging from blogs to more comprehensive guides (you’ve got to check out their content guide - it’s glorious). And if you decide that you’ve had enough of staring at words on a screen, take a look at their video content as well. They’ve got talks with all the big names, from Larry Kim to Lisa Myers. Yes, I am advocating OUR OWN BLOG. You’re reading it right now. You’re having a nice time, right? You should definitely come round more often. ...In all seriousness, we have always been advocates of free knowledge, and in empowering our clients to become experts too so they can continue to make their business a success. That’s why we aim to write blogs with actionable tips for our lovely readers to bookmark and actually learn from. Now that you’ve spent a good ten minutes reading a blog about blogs, how about you spend some more time going off and reading one of the blogs that this blog about blogs suggests? (*INCEPTION*). Let me know your favourites or if you think I’ve missed any off this list over on Twitter!